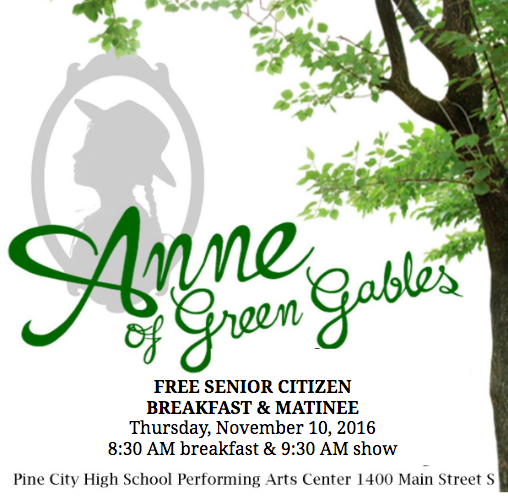 We want to show our appreciation to our senior citizens by offering a complimentary breakfast (breakfast bread, fruit, juice & coffee) and a performance. 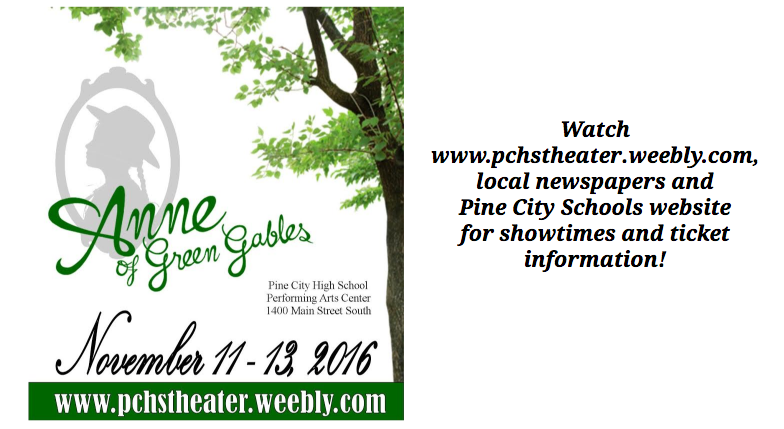 Tickets are required for breakfast and can be picked up at Pine City High School, Pine City Community Education (Elementary - Door #5), or Pine City Chamber of Commerce until November 4, 2017. If you have questions call 320-629-4030.